NCERT Exemplar Book acts as a self-assessment book for students of classes 6 to 12. In fact, the questions provided in the books contain a variety of questions with varying difficulty levels. Thus, making it the most favourite book among students. 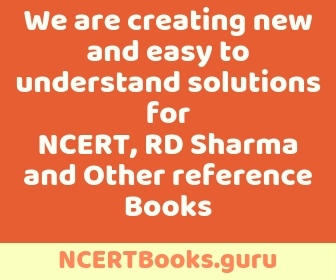 NCERT Exemplar Books follow CBSE Syllabus. So it is important for CBSE Board Students. 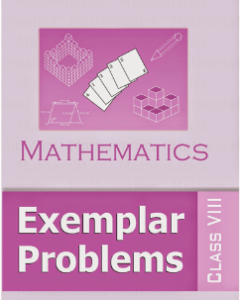 NCERT Exemplar Book Class 8 Maths serves as the perfect study material for any student who is preparing for good grades in Boards as well as upcoming entrance examinations. Students can download free PDF files of NCERT Exemplar Book Class 8 Maths. NCERT Class 8 Maths Solutions are a way students can analyse their strengths and weaknesses. On solving the questions, they will get to know where they need to improve and what changes they need to adapt in their strategies. NCERT Books are one of a kind. It consists of various self-explanatory & accurate solutions for various subjects. Why NCERT Exemplar Book Class 8 Maths? NCERT Exemplar book for Class 8 prepares the students in building a strong foundation. Further, NCERT Exemplar Maths Class 8 book has been designed according to CBSE Syllabus. Since, it is a well-known fact that for getting good marks in Boards, students have to start preparing from class 8 itself. In addition, the chapters included in NCERT Exemplar Book Class 8 Maths will help to achieve success in upcoming Board exams. In brief, students can confidently attempt the competitive exams like National Talent Search Examination (NTSE), Indian National Olympiad (INO), etc. On the whole, there are a total of 13 chapters in NCERT Exemplar Book Class 8 Maths. Moreover, each chapter has various types of questions. Firstly, students can practice math problems and increase their problem-solving skills. Secondly, there are equations and formulae provided as required. Thirdly, Practising NCERT Exemplar Book Class 8 Maths on a daily basis will help to increase the efficiency and time-management skills of students. Therefore, students will learn various tips and tricks which will ultimately help them have a great start to Board preparations. On the whole, we have provided the questions of Ncert Exemplar Class 8 Maths. Additionally, the questions are in PDF format. In summary, click on the required link against the chapter name and download the required questions for the same.